Candy makers still use such copper kettles in various sizes to keep chocolate or fondant warm and fluid during processing. 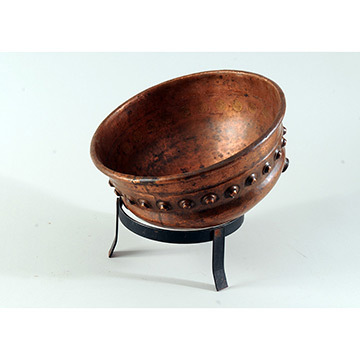 Two copper vessels, with steam circulating between them, were carefully joined without welding by skilled metalworkers using copper rivets and stress relief valves that could sustain extreme pressure. Workers called " dippers" controlled the heat supply as they made the candy by operating a steam generator, or steam jitney, which might explode if improperly maintained. The Savage Brothers Company, founded in 1855, made confectioners' tools and machinery. During the 1920s, the company was located at 2638–46 Gladys Avenue in Chicago and, by the 1970s, operated in Elk Grove Village, where it continues today.